A report into the trials of e-voting at last month's local elections has slammed the experiment as a "threat" to UK democracy. An online voting system in the UK would not be properly managed due to a lack of technical expertise among government and local authorities, said the Open Rights Group (ORG). This could undermine democracy in the country, it continued. "Even we were surprised by the scale of the problems our team observed on polling day. Despite our best efforts, we have been unable to verify the accuracy of the elections we monitored," said Jason Kitcat, e-voting coordinator at the ORG. The report , released this week, criticised "poor security, little evidence of testing, inadequate audit trails and insufficient attention given to system or process design". The ORG heavily opposes e-voting. It organised a team of 25 people to monitor the e-voting trials in 10 districts across the UK during the local elections in May. 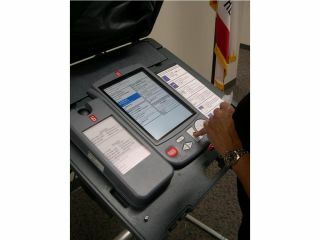 The group has called for a halt to e-voting until it is reliable, easy to oversee and its integrity has been proven.